Nokia has unveiled the latest high-end smartphone in its Lumia range, the Lumia 925, an updated version of 2012’s Lumia 920 with a metal finish, 4.5-inch Amoled display and new PureView imaging technology. The aluminium-bodied Windows Phone 8 handset offers a similar specification to the Lumia 928 handset unveiled in the US yesterday, and also includes NFC support. 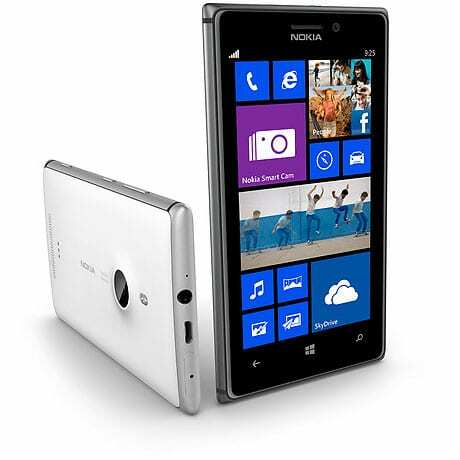 The Lumia 925 comes with the updated PureView camera technology, designed to capture clearer and sharper photos with its 8.7 megapixel front facing camera, and can record 1080p HD video at 30fps. A 1.5GHz dual-core Snapdragon S4 processor powers the handset, and add-on covers in a range of colours will enable wireless charging. The phone also incorporates Nokia’s “Smart Camera” mode, which captures a burst of images and allows the user to edit them afterwards. “Choose your best shot, capture a sequence of motion, remove unwanted moving objects or select the best expressions to make great group shots,” says Nokia. The Lumia 925 will be available for €469 from June in the UK, Germany, Italy and Spain, with availability in other markets following later.